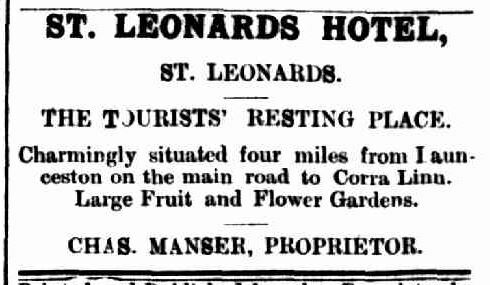 At an early hour yesterday morning, Mr. Walter Harris, of the St. Leonards Hotel, St. Leonards, succumbed after three weeks’ illness to an attack of dropsy at the ripe age of 75 years. There are few men in Tasmania who were more generally known than the deceased, and the news of his death will be received with almost universal regret. 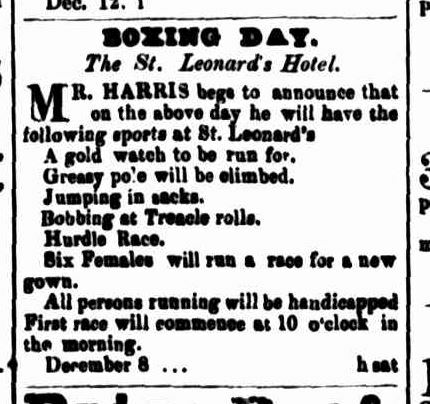 And not only in Tasmania was Mr. Walter Harris well and favourably known, but he was also known and respected by very many persons in the neighbouring colonies of Victoria and New South Wales, and during many years past he has seldom been absent from the great annual racing carnivals which take place in these colonies. Everybody who knew the deceased immediately contracted a liking for him, and his genial and kindly disposition won for him the respect and esteem of all to whom he was introduced. Of late years he was so afflicted by dropsy that he was hardly able to walk, and consequently drove about a great deal. Hardly a day passed out his neat little equipage, drawn by two ponies, as to be seen about town, and many were the friendly nods given him as he passed along. This enforced inactivity was very irksome to Mr. Harris, who in his young days was a noted athlete. Even in middle age Mr. Harris was one of the most active men in the island, and won upwards of 60 foot races in New Zealand and Tasmania. 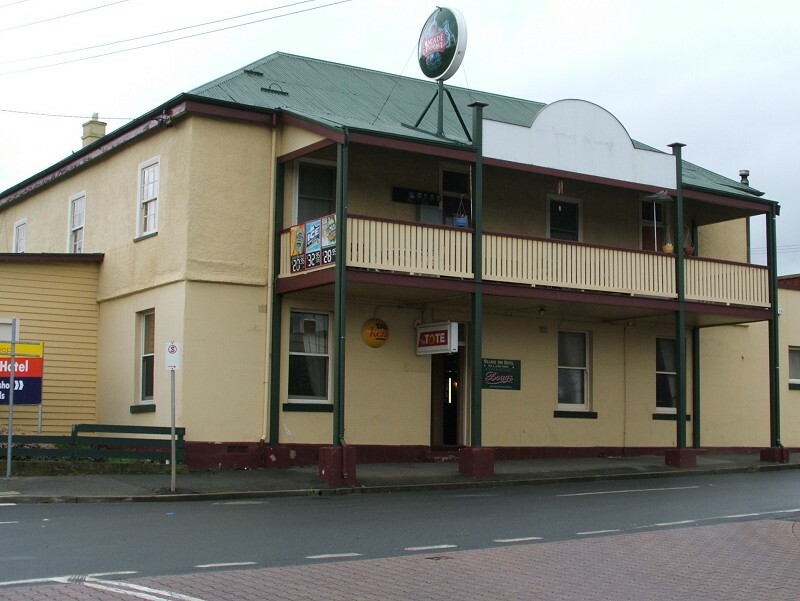 The deceased gentleman had been a resident in Northern Tasmania for many years. About 29 years ago he kept the Sportsman’s Hall, in Charles-street, whence he removed to the old Plough Inn; which at that time stood on the site of Mr. Wm. Hart’s present establishment. 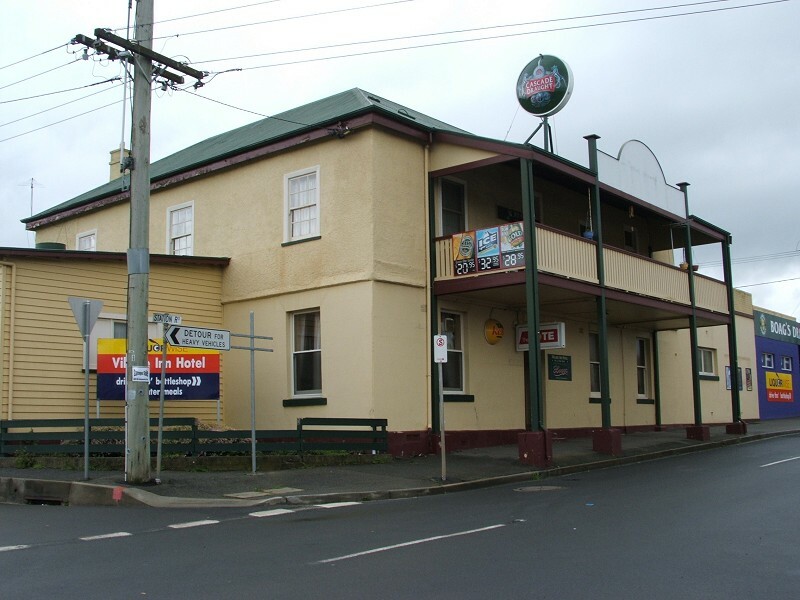 About 20 years ago Mr. Harris went to New Zealand, being enticed thither by the discovery of the goldfields, and after three years absence returned to Launceston, and took the Plough Inn, at the corner of Charles and Patterson streets, where he remained for some years, moving ultimately to St. Leonards, where he became the proprietor of the St. Leonards Hotel. While there his hostelry became one of the most popular resorts in the island for sportsmen who enjoyed a day with the gun and rod, and many were the pleasant evenings spent and, stories told round his cheery hearth. Mr. Harris had been Clerk of the Course in Launceston for some years, and in Melbourne he was the only person beside the Governor who enjoyed the privilege of driving his carriage inside the saddling paddock. He married early. in life, but his wife died three years ago. The deceased leaves no family, but adopted and brought up as his son Mr. W. Harris, of the aerated water factory, Patterson-street. The funeral will leave deceased’s late residence, St. Leonards, at 2 p.m. tomorrow. 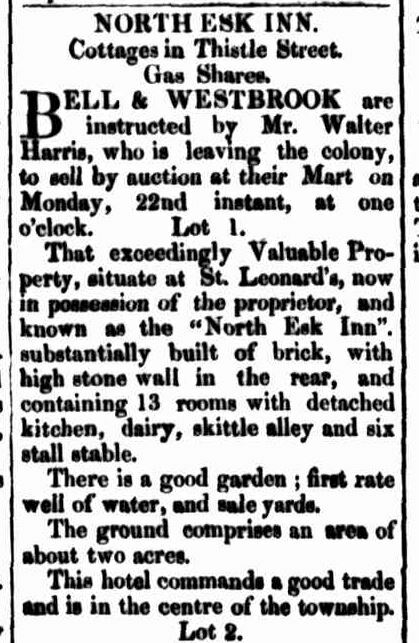 To-day Mr. W. T. Boll submitted the property at St. Leonards of the late Mr. Walter Harris. The mart was crowded, and the biddings wore fairly brisk. 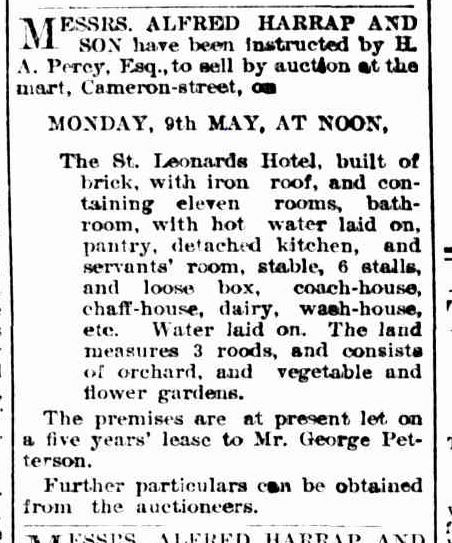 The St. Leonard’s Hotel was first put up, and started at £1,000, and after several bids of £25 it advanced to £1,300, when tho field lay between a Melbourne buyer and two locals. 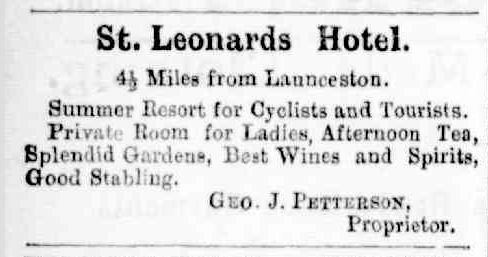 Ultimately the place was knocked down to Mr, Charles Mancer, late of the Marine Hotel, Launceston, for £1,500. A weatherboard shop bringing in 10s. a week was withdrawn at £360. A half-acre allotment on the main street had a brisk competition, and fell to Mr. C. G. Tulloch for £210. Two four-acre allotments were withdrawn. 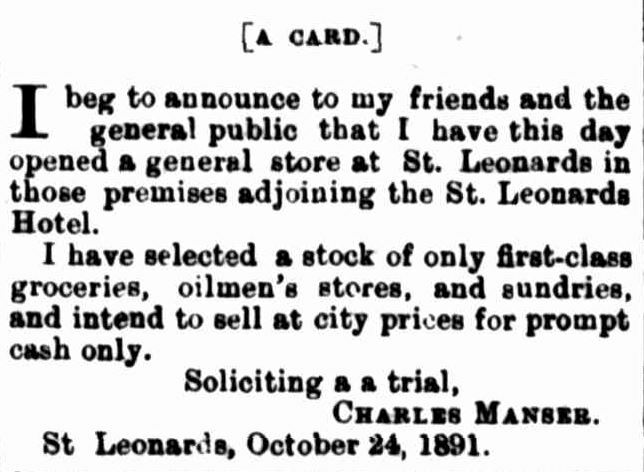 LICENSE GRANTED.–Charles Manser was granted permission to sell liquor at the St. Leonards Hotel, under the license held by the late Walter Harris. 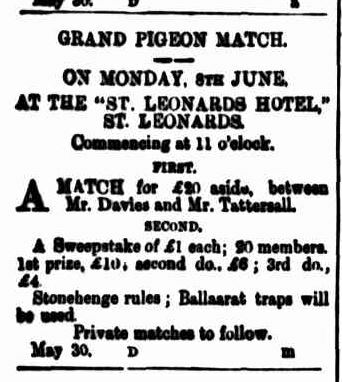 granted a bagatelle license to Charles Manser, of the St. Leonards Hotel. 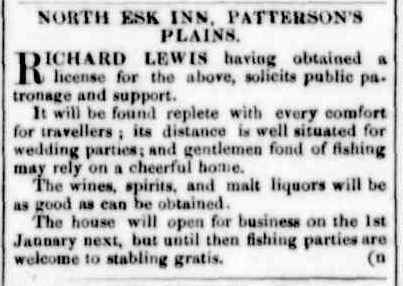 Permission to Sell.-At the Police Court yesterday morning, before Messrs. E. Whitfeld, P.M., and J. Stephenson, J. P:, George Wilton was granted permission to sell liquors, under the license held by George J. Petterson, for the St. Leonards Hotel, St. Leonards, until the annual licensing meeting to be held in December next. This entry was posted in Hotel, St Leonards and tagged location, photo, still operating by Xenith. Bookmark the permalink.